This Thanksgiving and campaign season, historian Ron Formisano talks about how income inequality hampers economic growth for all. Political scientist Arthur Lupia explains why otherwise intelligent people can be so ignorant on political issues. And Bill Press interviews New York Daily News reporter Cameron Joseph about how the NRA supports terrorism. November 22, 2015 Thanksgiving reflection – America’s income inequality is worse than Pakistan’s says Ron Formisano. Voters often don’t bother to consider reality, says Arthur Lupia. And Bill Press interviews Cameron Joseph about the NRA and terrorism. Ron Formisano Noted historian Ron Formisano compares income distribution and inequality in America to Pakistan, Uruguay, Nicaragua, Guyana and Venezuela – and the comparison is not good. Arthur Lupia Professor Arthur Lupia examines the behavior of American voters, who are often ignorant about the issues facing them. He says when we have simple choices, you don’t HAVE to know anything. Cameron Joseph Bill Press interviews Cameron Joseph of the New York Daily News. Jim Hightower What honeybees, humans, and art have in common. Harvard Professor Ryan Enos has studied what happens when racial or ethnic groups live and work in close proximity. The results are not always positive, and that’s a potential problem for maintaining the Obama voting coalition. Former House Democratic whip David Bonior laments the decline of social justice and the ravaging of labor unions. And Bill Press talks with Representative Rosa DeLauro about dinner with President Obama – jobs, immigration and gun safety. May 12, 2013 Professor Ryan Enos says watch out for voter backlash. David Bonior wants more focus on social justice. And Rep. Rosa DeLauro discusses dinner with the president. Ryan Enos There is potential trouble for the Democratic coalition that re-elected President Obama, says Harvard Professor Ryan Enos. He reports on evidence that as people from different races or ethnic groups get together, they don’t always stay together. David Bonior David Bonior was the longest serving elected party whip in the history of the House of Representatives. Now long retired, he has some suggestions on how to improve the place – including a change of heart on term limits. Rosa DeLauro Bill Press and his guest Representative Rosa DeLauro talk about a meeting between President Obama and House Democrats. Jim Hightower Diverting shareholder funds into "dark money" politics. A former Republican ambassador warns that anti-Americanism and fundamentalism is growing in the Muslim world. He also says it is not certain that the Boston bombing will actually help our relations with Russia. Regular commentator Fred Rotondaro says despite legislative setbacks on gun safety legislation, the NRA will be revealed as a paper tiger. 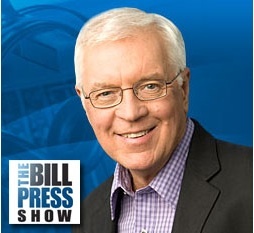 And Bill Press talks with Emily’s List communications director Jess McIntosh about the drive to elect a woman president. 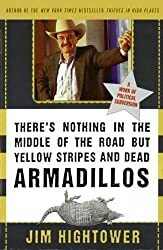 May 5th, 2013 Former ambassador Mike Ussery on the Boston bombing and Islam, Fred Rotondaro calls the NRA a paper tiger, and Jess McIntosh on the drive to elect a woman president. Mike Ussery Mike Ussery was ambassador to Morocco in Republican administrations, and in the wake of the Boston bombing, he cautions about rising anti-Americanism in Muslim countries. He says things could go either way in dealing with Russia in the fight against terrorism. Fred Rotondaro Fighting the NRA may take a long time, but the gun lobby is going to be revealed as a paper tiger, says regular commentator Fred Rotondaro. Jess McIntosh Bill Press and his guest Jess McIntosh of Emily’s List on the drive to elect a woman president. 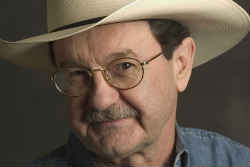 Jim Hightower The cold calculation of clothing corporations.